R.J. Rushdoony’s essay on “Socialism as a Perpetual Civil War” was published as a Chalcedon blog post in 2009. Actually it was written quite a few years before that: but its insights are right on target today. Rushdoony points out that socialism has its own “infallibility concept” which explains away its multitudinous and incessant failure. It destroys wealth and inhibits wealth’s creation. When anything goes wrong, it finds a scapegoat. When an epidemic struck Red China in 1967, the government threatened to purge the doctors who had “ignored Mao’s health policies”–as if medical doctors knew less about health than some crazy old mass murderer. It’s looking more and more like we’re headed for a showdown between Christ’s Kingdom and humanist man’s impoverished socialist pipe dream. And that’s a fight we’d better win. 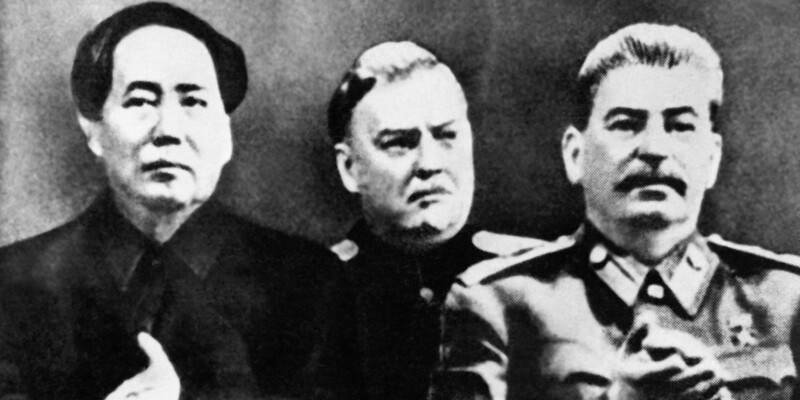 This entry was posted on Friday, February 15th, 2019 at 3:34 pm	and tagged with Chalcedon blog, Christianity vs. socialism, cultural musings, mao tse-tung, r.j. rushdoony, why socialism fails, why we must defeat socialism, www.chalcedon.edu and posted in history, religion. You can follow any responses to this entry through the RSS 2.0 feed. « We Has got To Fyne Fat Peeple!!! We know we win in the end, but we also know it will be rough going in the last days. I think it is precisely what is shaping up. This is not simply political ideology, it goes far deeper. It is a chance for people to demonstrate where their trust is placed; mankind, or the True God? I have several book shelf levels lined with Rushdoony books, and all of them deal with socialism in some form or another because it is the religion of fallen man trying to become God. Christ’s kingdom on earth is built by God working out salvation through His redeemed children. As Christians are sanctified, and transformed by the renewing of their mind, society is transformed as well because they become the salt and the light of the culture. But when Christians leave the battle to others and retreat within their church buildings, we get socialism (or some other form of authoritarianism).